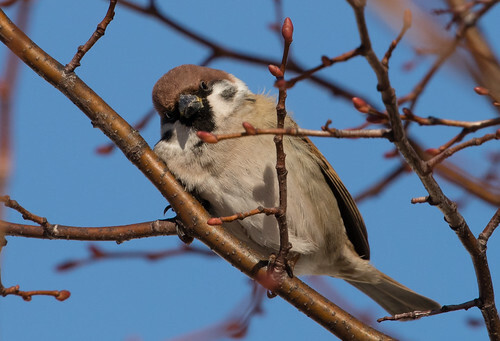 On January 4, 2017, Two Harbors’s wonderful birding guru, Jim Lind, reported on eBird that there was a Eurasian Tree Sparrow hanging out with a flock of House Sparrows right in town. It may have been there earlier than that, because I later read an MOU listserv post by Kim Eckert saying it had first appeared in December. 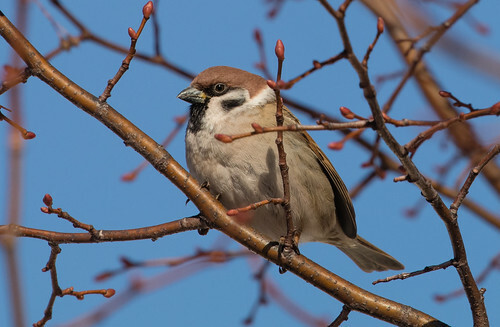 We’ve had a handful of Eurasian Tree Sparrow records over the years in the southern third of the state and in extreme western Minnesota, but never before anywhere in northeastern Minnesota. 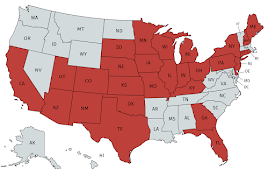 And I’ve never seen one in the state. 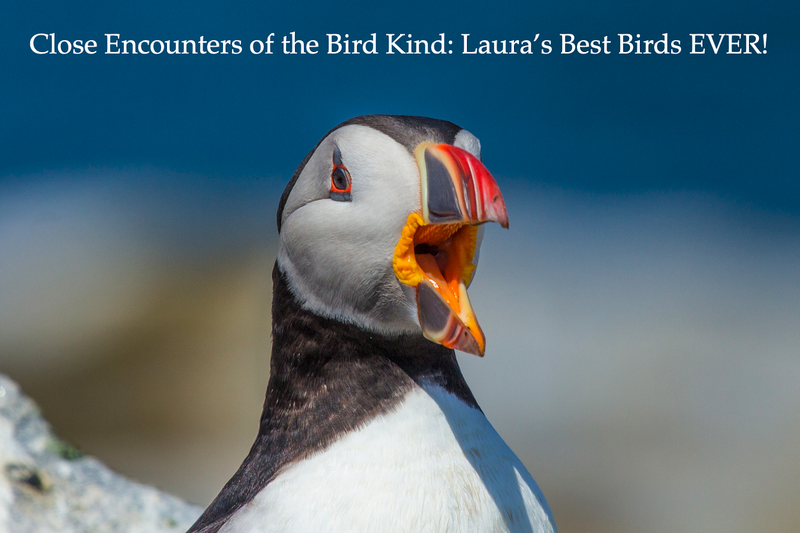 It’s so rare that I didn’t make even a cursory reference to it in my ABA Field Guide to the Birds of Minnesota. People started scattering bird seed on the ground near the parking lot behind the Do North Pizzeria, in hopes that more people would be able to see the bird if it had a steady supply of food in one place. When Jim first reported it, I had whatever horrible flu or cold virus has been going around this year and was stuck at home. I felt better just in time for my trip to New York and D.C., but had a relapse on the trip home, so I was out for the count until early February. 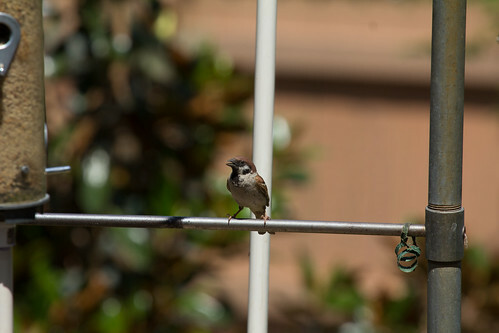 Meanwhile, the sparrow disappeared for a couple of weeks, but suddenly turned up again on February 3. 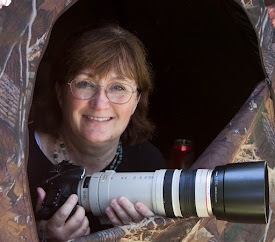 I went looking for it with my friend Karen Keenan on February 4, and headed out again the next day, Superb Owl Sunday with Lisa Johnson. We didn’t find any sparrows at all on either day. We pulled into the parking lot behind the Do North Pizzeria, and voila! There in a small tree was a tiny flock of sparrows. 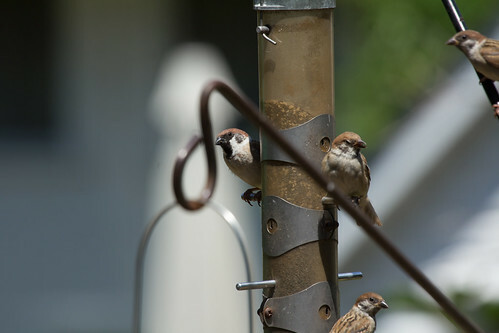 Ten were House Sparrows, and there, right in the center of the flock, was the Eurasian Tree Sparrow. The flock stayed up in the tree long enough for me to take almost a hundred photos, then dropped to the parking lot to pick at some grit under a couple of cars. They ignored the cracked corn scattered at the base of the tree; after less than a minute under the cars, the flock flew off en masse. I saw my very first Eurasian Tree Sparrow in St. Louis on October 28, 2004. I remember the date because it was the morning after the Boston Red Sox broke their curse by winning the World Series for the first time since 1918, routing the Cardinals in four games. The whole city of St. Louis seemed sorrowful, something even a lifelong Cubs fan could pick up on. 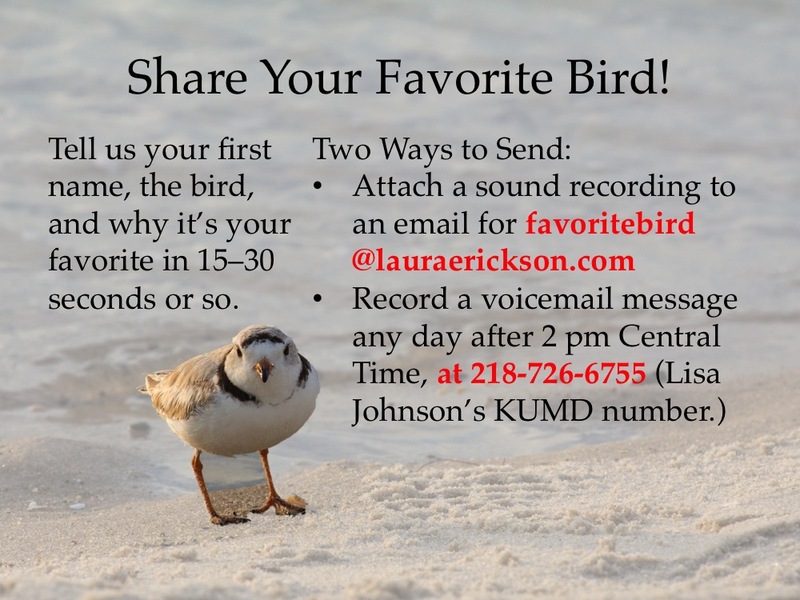 Now I have a very close friend who lives in Kirkwood, right outside St. Louis, and I’ve visited her and seen Eurasian Tree Sparrows at her place a few times. Most recently was in 2013 when I was doing my Big Year. I was driving home from New Mexico and Texas and stopped to see Susan and her Eurasian Tree Sparrows, which I needed for the year. 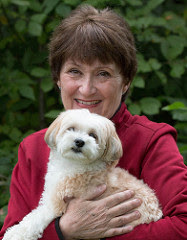 I needed to get as far as Madison, Wisconsin that day, so I couldn't stay long. 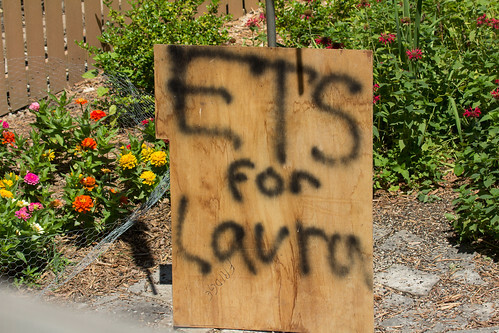 So Susan’s husband David painted a sign on a large piece of plywood, saying “ETS for Laura.” Sure enough, they were the very first birds I saw. 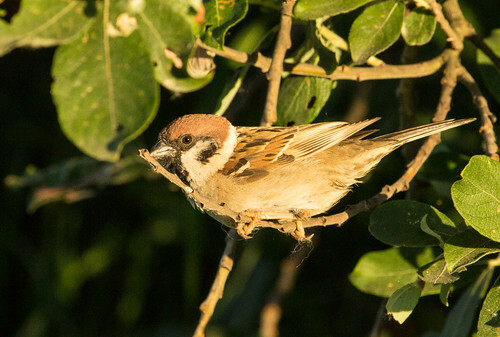 When I went to Europe in 2014, I saw Eurasian Tree Sparrows in Austria, Hungary, and Germany, where they belong. And I saw some in January 2015 in Quincy, Illinois, when I went down trying to find an Ivory Gull that had disappeared the day before. That’s within the range of the population centered in St. Louis, but it was the first time I’ve ever seen them in Illinois. 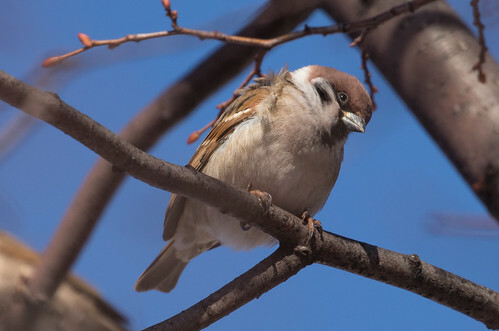 We’ll never know where the Two Harbors sparrow came from, or why it wandered to the Do North Pizzeria in Two Harbors, Minnesota, so far from every known Eurasian Tree Sparrow on the continent. Unless it heads back pretty soon, this one won’t fulfill its destiny of reproducing to ensure that the world continues to have Eurasian Tree Sparrows, unless it’s already been there, done that, and was searching for a new experience. 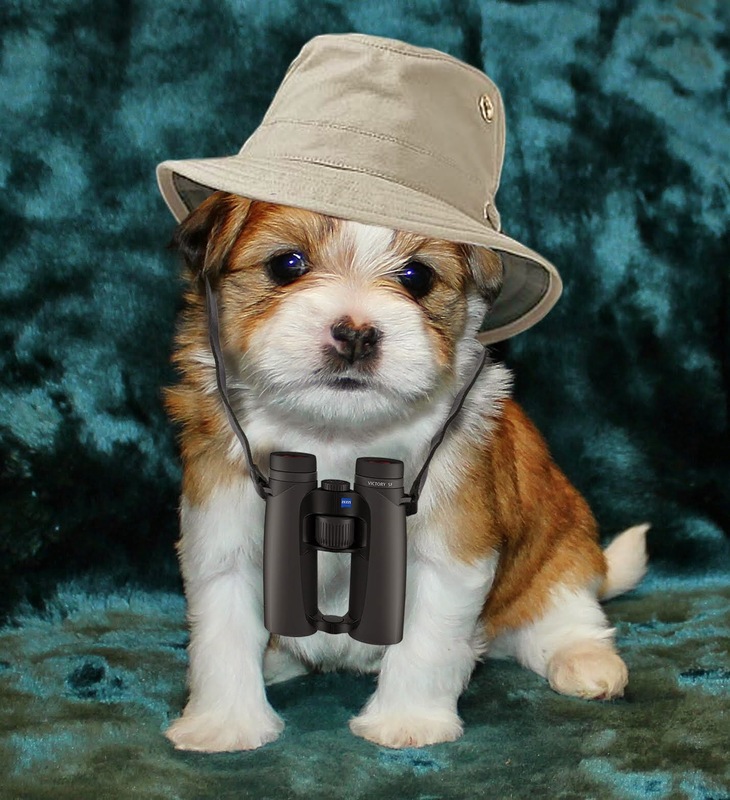 For all we know, this one is pulling a Paul Simon, and gone off to look for America. Or maybe it realizes it doesn’t have a green card and is desperately trying to reach the Canadian border before INS can track it down. 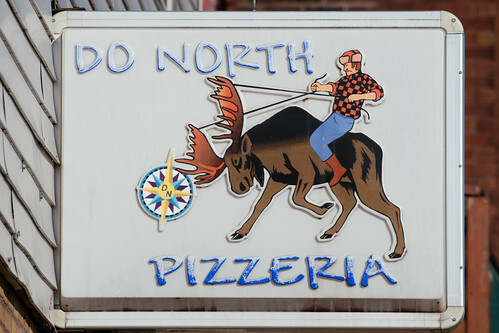 If that's the plan, will its next stop be Sven and Ole's Pizza in Grand Marais? 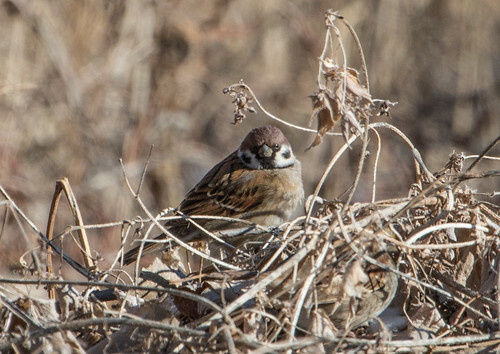 Was looking for info on when the first Eurasian Tree Sparrow popped up in Minnesota and came across your post. The reason I was looking...I had two pop up in my yard last Thursday! 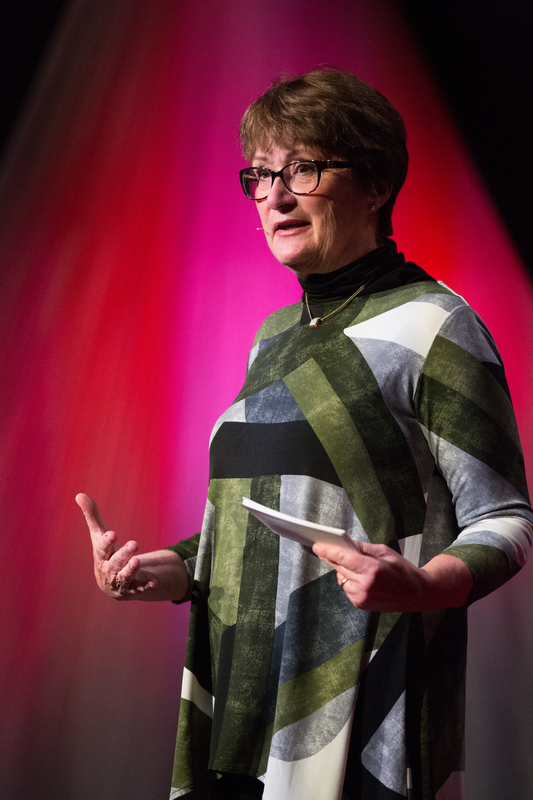 The first live one seen in South Dakota was just 2 weeks ago. Mine were the 2nd and 3rd. Have to love birding sometimes! !